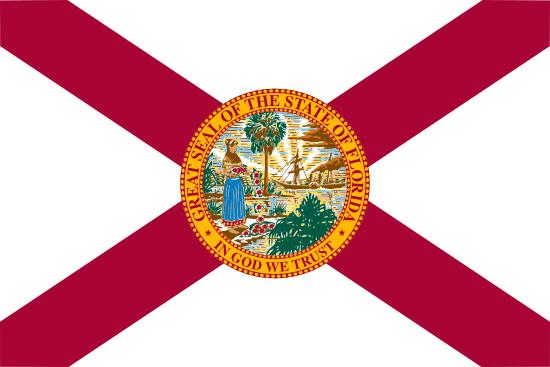 Florida is famous for a number of things, including orange production, the Kennedy Space Center, and a variety of overpriced amusement parks. It’s also a wonderland for sports gamblers, as the state is packed with franchises ranging from lacrosse to the NFL. While the presence of all these teams is bound to tempt bettors, please keep in mind that face-to-face sports betting is illegal within the state. Online wagers are still an option, or you can choose to defy the law by seeking out a local bookie or placing bets with friends, family, or work colleagues. As long as you’re not winning huge sums of money, you can probably skirt the law without any nosy policemen getting on your trail. Please note, however, that I am not a lawyer. While the information included in this article is meant to inform and entertain, I am by no means offering legal advice to the reader. Before you launch your gambling career, I suggest you sit down with a paid legal professional and learn the specific risks you might incur. If you choose not to, then you only have yourself to blame. While betting with a real-life bookie is illegal in Florida, state laws overlook the practice of online wagering. This means you can find a virtual book, examine the odds, and place your bet without worrying about being in violation of any local statutes. While a lot of the leading bookmaking sites have pulled out of the USA betting market following the passage of the Unlawful Internet Gambling Enforcement Act, there are still more than enough options available. I suggest doing your due diligence before opening an account, however, as some online betting sites are notorious for not paying winning customers. It’s nothing to panic about, though; a little research should point you in the direction of a reputable book. NCAA Division I sports are popular among gamblers, and Florida has a total of 14 schools that play on this highest collegiate level. The two biggest schools in the state (Florida and FSU) represent a long pedigree of success in both college football and college basketball. Most of the betting lines for these universities should be available from bookmakers, especially when college basketball and football are involved. Of the above programs, the two most successful have been the Miami Hurricanes and the Florida State Seminoles. The Hurricanes have four national championships in men’s baseball, and their football program has captured national titles in 1983, 1987, 1989, 1991, and 2001. The Seminoles have won 20 national titles since the athletic program began in 1902, as well as more than 100 team conference titles. • Miami Marlins – Founded in 1993, this MLB team captured World Series titles in 1997 and 2003. • Tampa Bay Rays – This MLB team was founded in 1998 and has failed to win a World Series championship as of this writing. • Miami Heat – Started in 1988, this NBA franchise was won championships in 2006, 2012, and 2013. • Orlando Magic – This NBA franchise started in 1989, although they’ve yet to win a league title. • Jacksonville Jaguars – Launched as an expansion franchise in 1993, this NFL team hasn’t won a Super Bowl as of this writing. • Miami Dolphins – Founded in 1966, this successful NFL franchise won Super Bowl titles in 1972 and 1973. The 1972 season was notable as the only perfect undefeated season in the history of the league. • Tampa Bay Buccaneers – Founded in 1976, the Buccaneers of the NFL endured a long stretch of losing seasons, including the league’s first winless 14-game season in 1976. Their fortunes changed in the 21st century, however, and the team captured a Super Bowl title in 2002. • Florida Panthers – While they’ve won no Stanley Cups since their debut in 1993, the team has made it to the finals on one occasion. • Tampa Bay Lightning – Created in 1992, this NHL franchise hoisted the Stanley Cup aloft in 2004. • Orlando City SC – This Major League Soccer franchise made its debut at Orlando Citrus Bowl Stadium in 2013. In addition to these major league teams, the state is filled with minor league and semi-professional organizations. Many fans prefer these events because of smaller crowds and lower ticket prices, and they present an appealing option for gamblers looking to expand their portfolio. The only drawback is that most bookies won’t offer betting lines on these games, so you may have to be content with wagering against other fans. While betting on sports isn’t legal within the state of Florida, there are still other options available to gamblers. The simplest method is to place off-the-books wagers with friends and co-workers, or you can track down a hometown bookie operating under the radar. There are even cruises available that allow players to place wagers in international waters while watching the games on high-definition televisions. Whether you’re hoping to make a wager or just be entertained for a few hours, the state also offers a wealth of sports teams. The four major leagues all have multiple teams within Florida, and the number of semi-pro and minor league teams are dizzying. No matter what your passion, the Sunshine State has you covered when it comes to sports.